I was recently in London for a very brief ~68 hours, but it reminded me that I love London cabs. The still-ubiquitous hackney carriage seems to be alive and well on the labyrinthine streets of this awesome city, and I, for one, am glad that it is. Don't get me wrong. I'm a big fan of modern personal transportation services like Uber and Lyft. I used to rent cars for most of my business trips until about two years ago, and now I use these services because they're more convenient, faster, and are often cheaper than renting. Just not having to worry about parking reduces my stress level immensely. Even as these services are destroying the taxi industry as we know it, I find that the London taxi can still provide a user experience that isn't as easy to replace. When I arrived in London, I took the Heathrow Express rail service to Paddington Station and then took a cab from there to my hotel. Other than having to ask for one that took credit cards, which was a little annoying, it was all pretty easy and much faster than waiting for an Uber. Sitting in my cab, watching traffic go the wrong way and training myself to not freak out, I greatly appreciated two unique things about the London cab: the purpose-built design of the cab itself and the cabbie's encyclopedic knowledge of the streets of London. London cabs have a unique look. They are traditionally black and look somewhat old-fashioned, but I personally find them quite charming. However, what I appreciate about them has less to do with their exterior design and more with their interior which, from a passenger's point of view, is great. The doors are large and open wide for easy entry and exit. Instead of struggling with lifting large bags into the trunk (or boot, as the Brits call it), you can just use the large space and same door to lay them on the floor. The interior space is flexible – if you don't need the space for hauling stuff, you can fold two seats down to fit more people. It's a relatively uncluttered interior with ergonomic handles and tactile switches. It's not particularly beautiful, but its simple, straightforward aesthetic is a reflection of its utility and usability. If they could nail the payment thing down, it would be almost perfect. To achieve the required standard to be licensed as an “All London” taxi driver you will need a thorough knowledge, primarily, of the area within a six-mile radius of Charing Cross. You will need to know: all the streets; housing estates; parks and open spaces; government offices and departments; financial and commercial centres; diplomatic premises; town halls; registry offices; hospitals; places of worship; sports stadiums and leisure centres; airline offices; stations; hotels; clubs; theatres; cinemas; museums; art galleries; schools; colleges and universities; police stations and headquarters buildings; civil, criminal and coroner’s courts; prisons; and places of interest to tourists. In fact, anywhere a taxi passenger might ask to be taken. If anything, this description understates the case. The six-mile radius from Charing Cross, the putative center-point of London marked by an equestrian statue of King Charles I, takes in some 25,000 streets. London cabbies need to know all of those streets, and how to drive them — the direction they run, which are one-way, which are dead ends, where to enter and exit traffic circles, and so on. But cabbies also need to know everything on the streets. Examiners may ask a would-be cabbie to identify the location of any restaurant in London. Any pub, any shop, any landmark, no matter how small or obscure — all are fair game. Test-takers have been asked to name the whereabouts of flower stands, of laundromats, of commemorative plaques. One taxi driver told me that he was asked the location of a statue, just a foot tall, depicting two mice sharing a piece of cheese. It’s on the facade of a building in Philpot Lane, on the corner of Eastcheap, not far from London Bridge. It's a great story which I highly recommend reading. What it describes is an immense amount of specialized learning, specifically spatial memory. Prospective cabbies' preparation for "The Knowledge" became the subject of scientific study that proved the human brain's plasticity, in other words, its ability to change, even well into adulthood. The study, led by Eleanor Maguire of the University College London, was able to compare three groups of people: those who prepared for the test and eventually passed, those who prepared and either failed or otherwise didn't complete the preparations, and a control group who never prepared for the test. They found that those who got "The Knowledge" had significant changes in their brains. You can read the study here. 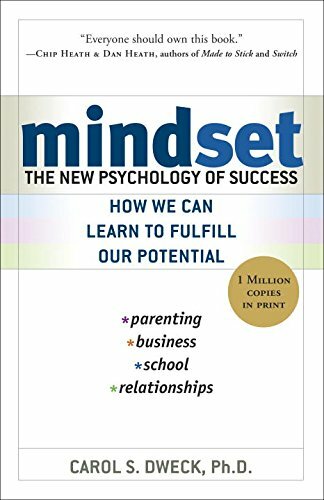 Beyond the living proof of thousands of licensed cabbies, brain plasticity weighs in on the debate around the fixed mindset versus the growth mindset, an idea which Carol Dweck, a psychologist from Stanford University, identifies in her book, Mindset: The New Psychology of Success. This idea strongly resonates with me as I've long believed that we, as humans, are little more than amazing learning machines, and we continue to be that throughout our lives. I've approached my own personal development, both personal and professional, with this idea. Very few things are as satisfying to me as learning something new and improving myself in some way, however small, even as I settle into middle age. If you find yourself in London, take the opportunity to hail a classic black London cab before they disappear. You might appreciate the unique experience and marvel at how the brain works, and get inspired to learn something new.